Happy Halloween!! 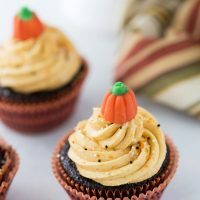 I bring you easy, delicious chocolate pumpkin cupcakes today for the celebrations, in case you are in need of last minute recipe ideas. Do you guys have any spooky plans?? This will be our first year going trick-o-treating and I am surprisingly excited to go out with Elliott. Probably more so than he is as he has no idea what is going on at 15 months. He is skeptical about why he has to wear a strange outfit the past week. He had one halloween party at a friend’s house last weekend and he was having a lot of fun running around in his Flash costume. Mr. J and I are going as Batman and Wonder Woman (respectively) to complete our Justice League family (Yes, we are nerds!!). 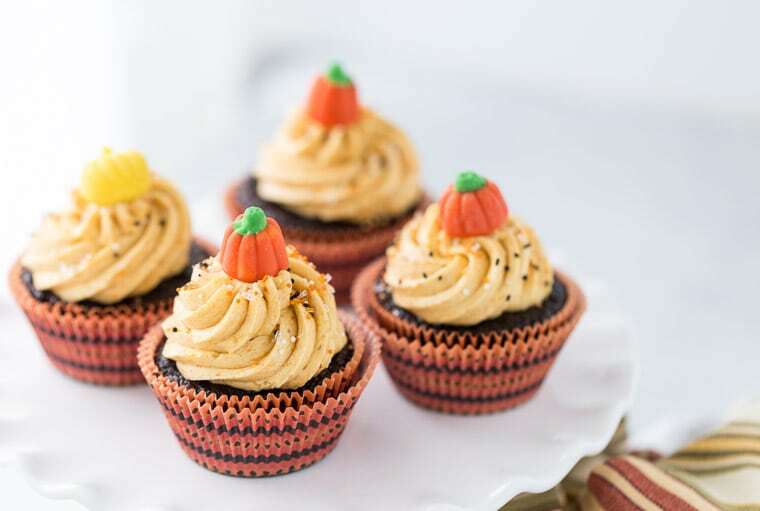 I have no idea why I am so excited but probably because we will be having these chocolate pumpkin cupcakes and other treats with some friends. 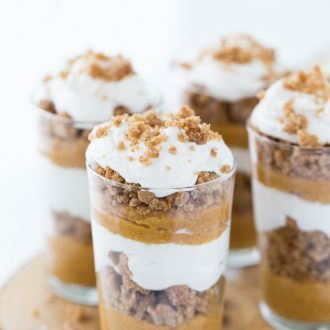 I actually made these cupcakes a few weeks ago when I had left over pumpkin pie filling from these pumpkin pie trifles. 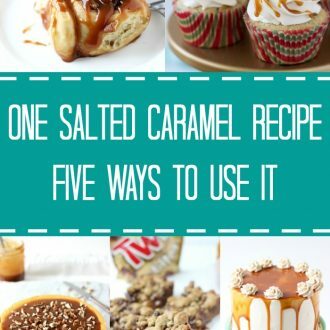 It was a great way to use the pumpkin pie filling in a frosting. 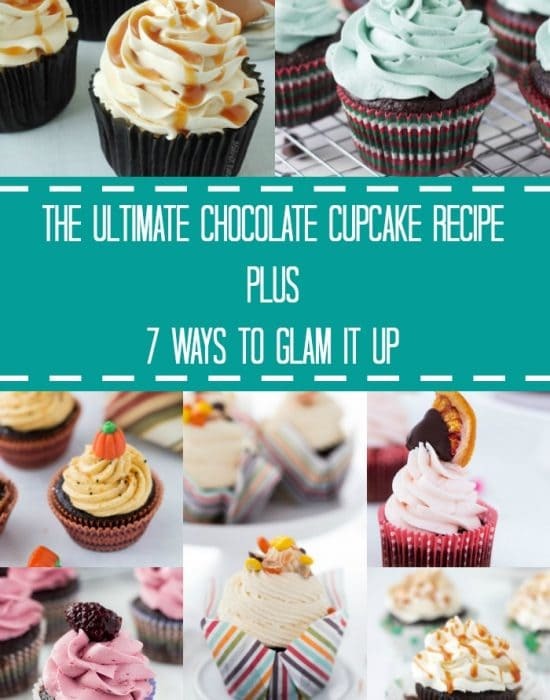 The cupcakes are my usual go-to chocolate cupcake recipe – decadent, moist and delicious. 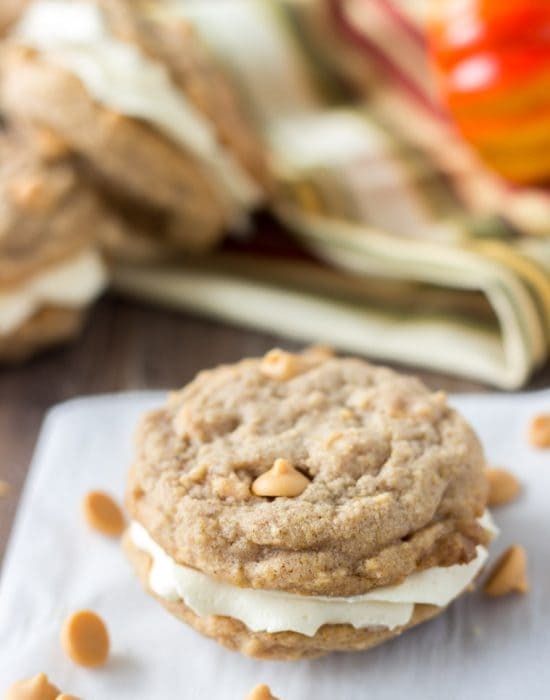 Then topped with a smooth, sweet pumpkin pie filling frosting. 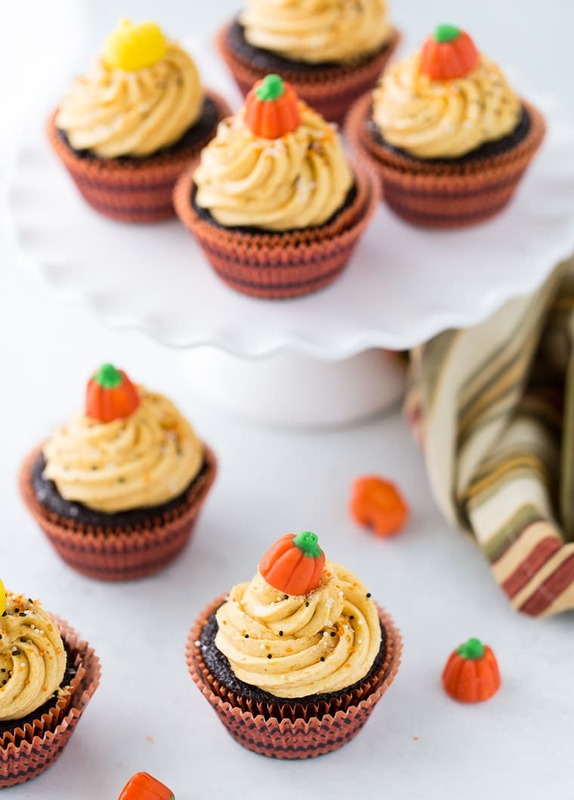 The combination of chocolate and pumpkin is always so heavenly and these cupcakes do not disappoint. 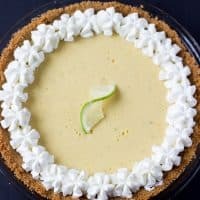 They will be perfect for your Halloween celebrations but also great for Thanksgiving as we get closer to that over the next few weeks. 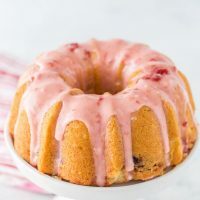 The batter will be thin. Divide the batter evenly between the liners. 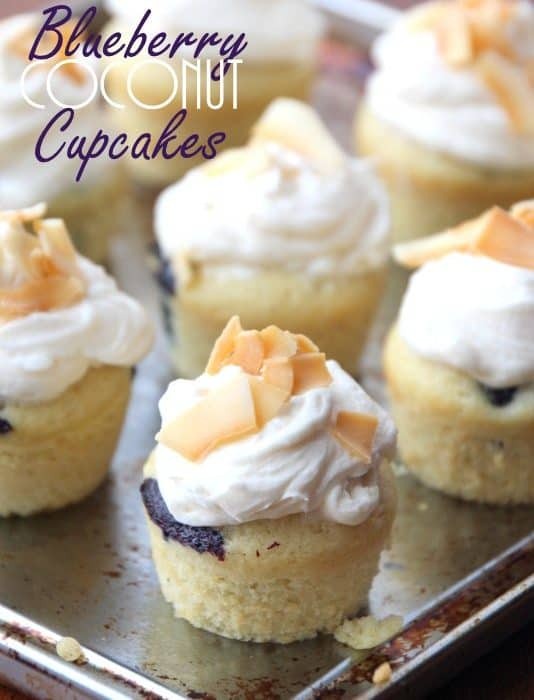 Bake cupcakes for 12-15 minutes or until a toothpick inserted comes out almost clean. 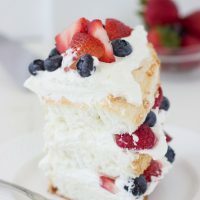 Whip butter and cream cheese on medium speed for about 2-3 minutes in the bowl of a stand mixer fitted with the paddle attachment until light and creamy. Add the pumpkin pie filling and beat in. Then add the powdered sugar, vanilla extract, salt and heavy cream and mix on low for 1 minute until combined. Increase speed to medium-high and whip for 2-3 minutes. Elliott looks sooo cute!! Hope you all have a great Halloween! 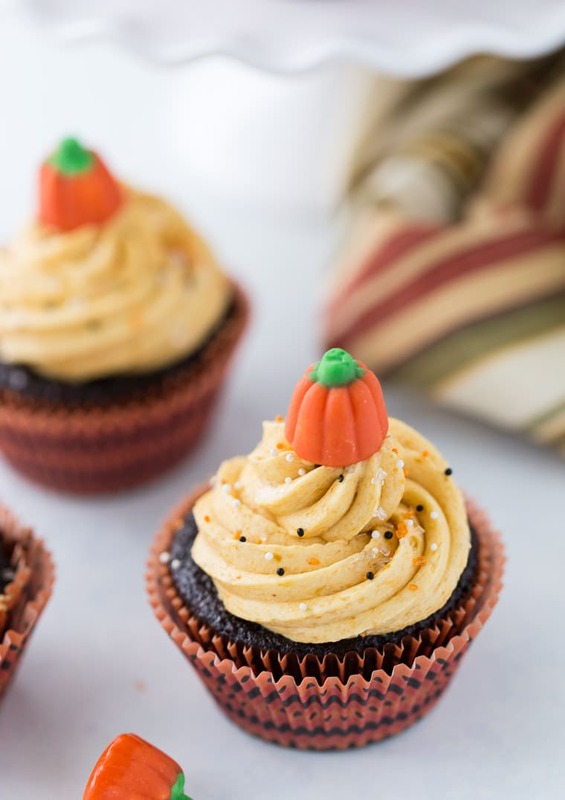 On to these cupcakes – this is seriously the best flavor combo 🙂 I just made some myself and let’s just say I may never go back to plain chocolate cupcakes! Thanks Megan! I am glad you agree, chocolate and pumpkin is just to die for!! Happy Halloween! Those cupcakes are so cute! Thanks Ashley! Hope you had a good job. Firstly, Elliott is ADORABLE in his costume! 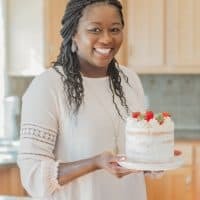 What a fun family night you are going to have! 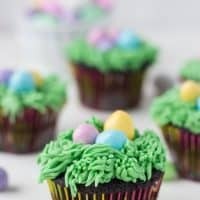 Secondly, these cupcakes are gorgeous and I bet delicious too! Happy Halloween! I saw your Halloween pics and they are soooooo cute. We had a party at my place and it was such a blast! But Halloween itself was pretty mellow 🙂 just swim practice with the team and a lot of work to catch up on (alas, I didn’t get very much done anyway). But I did bake, and next time I’m going to make these cupcakes because they’re perfect! Thanks Ala! I saw your pictures too 🙂 I miss those college parties. Aww what a little cutie! Hope you had an awesome Halloween! 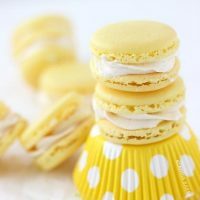 These cupcakes look amazing and are so pretty! Thanks Denise! we had a good time. Right?? Would make like easier!! 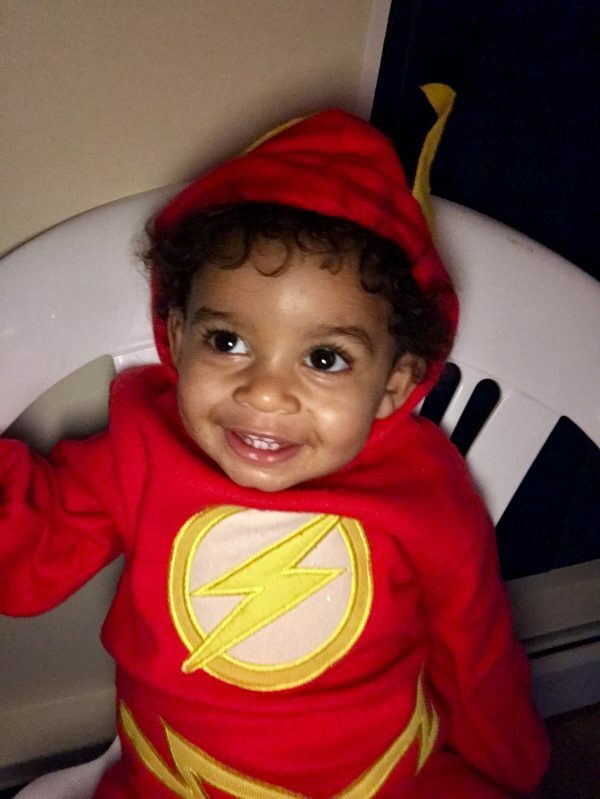 Awwww he does look adorable in Flash costume…and you really nailed your costume too! Super Mama! 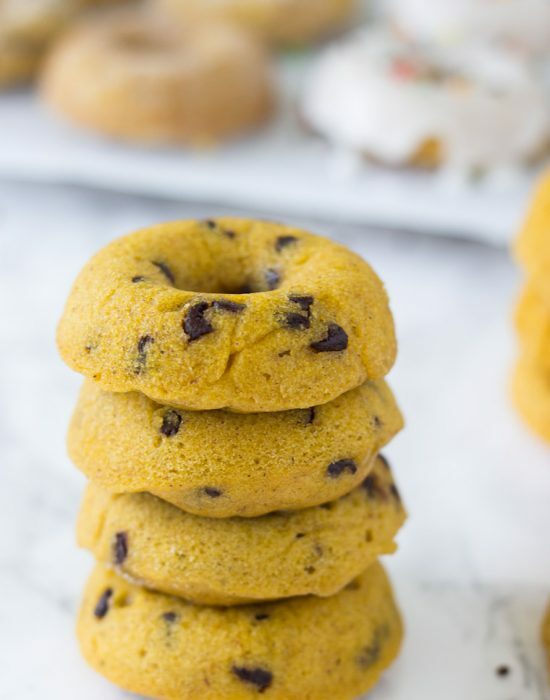 I’ve been craving for some pumpkin love lately and what’s better than chocolate + pumpkin. Right? Love this! Aaw, Elliott is just sooo adorable!! So fun that you coordinated all of your costumes – hope you guys had a great time! 🙂 You make the prettiest cupcakes! 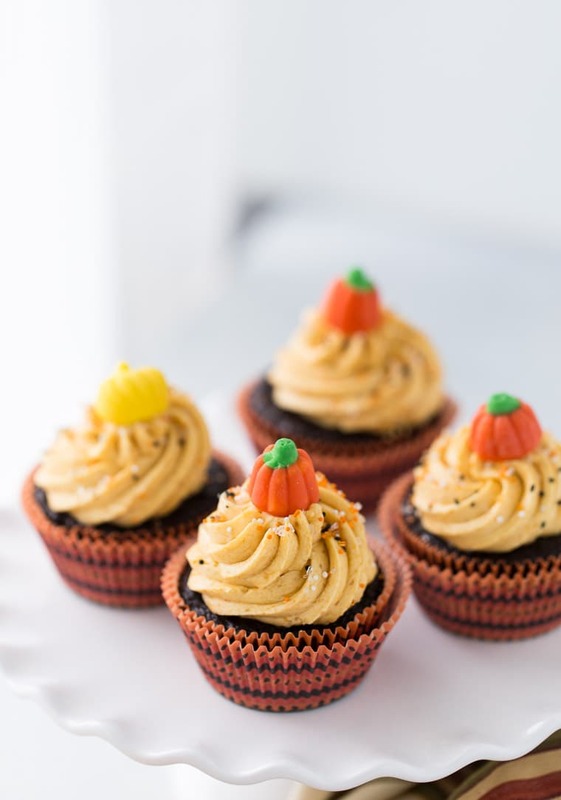 Love the chocolate and pumpkin combo!